There are no secrets to getting great guitar tone. 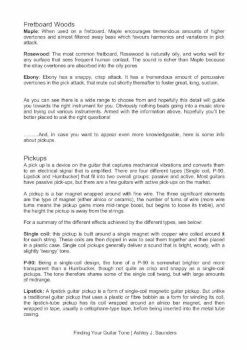 And in Finding Your Guitar Tone eBook you will learn how to get fantastic guitar tone no matter what your gear is. Even if you can't use your own. 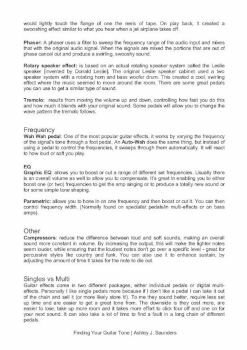 So if you're unhappy with your current guitar sound, then this eBook will show you how to get great guitar tone. 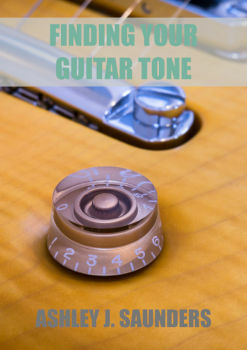 If you ever wonder how to get great guitar tone, then Finding Your Guitar Tone eBook will show you the ins and outs of great guitar tone. You will learn how to sound even better by making better decisions. Starting at the guitar, we'll cover the typical wood used and how each type affects the overall guitar tone. We will then look pedals, and how to build a pedalboard, including signal chains and pedal placements. Also, we'll talk about amps and other guitar gear you might use. 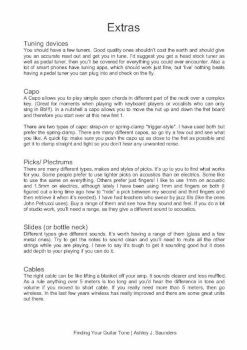 The aim of this eBook is to demystified guitar gear once and for all. Bonus section! What to do on a gig when you can't use your own amp! We've all had this situation and there are a few steps you can take get a better guitar tone and get close to your normal sound. This eBook is aimed at those want to learn how to always have killer guitar tone even on a fly gig!